Lecithin is not one of the more well known nutritional co-factors, but it is very important as a source of Choline. Lecithin is also a source of Linoleic acid. Other Ingredients: Gelatin, Vegetable Glycerin. Contains: Soy and Tree Nut (Coconut Ingredients). Lecithin Concentrate 1,200 mg is rated 4.3 out of 5 by 6. 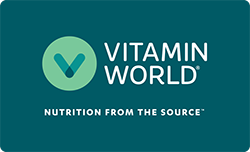 Rated 5 out of 5 by MarkMI from I always trust Vitamin World for vitamns I feel I am getting a good product from Vitamin World and I feel when talking to a sales person my best interest is always first before just pushing products. Rated 5 out of 5 by Jack62 from Excellent product I am satisfied with this product, and believe it is high quality and good value. Rated 5 out of 5 by Anonymous from The product I trust I bought this for my mom, she takes this for years align with fish oil.